Dr. Matthew Smith, the founder of Traverse City’s Great Lakes Plastic Surgery Center, has been trusted by thousands of patients over the past 20 years to perform reconstructive surgeries—including for those fighting breast cancer. For 10 years following her lumpectomy, looking in the mirror was a constant reminder of Judy Matelski’s battle with breast cancer. When the cancer vigorously returned, she was told she needed a double mastectomy. Body image thoughts consumed her. “I had a hard time finding anyone who would take them off and put something in right away,” Judy shares. But then she found Dr. Smith. 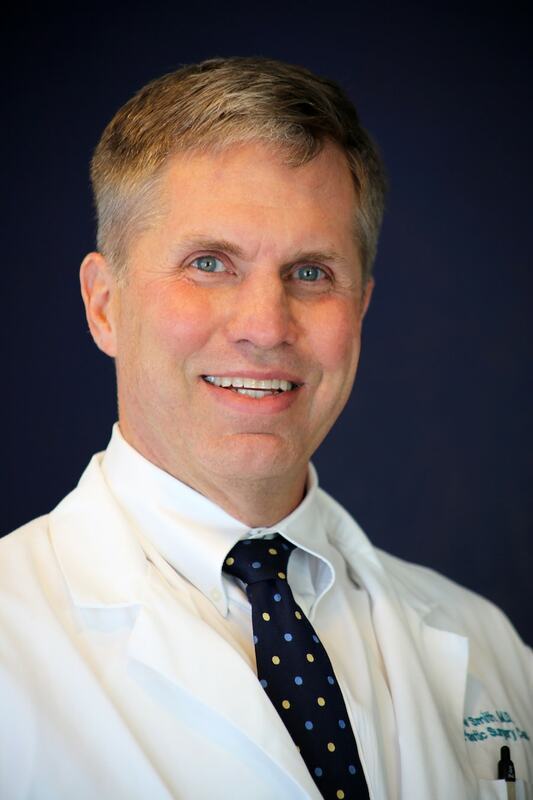 Dr. Smith is Section Head of Plastic Surgery at Munson Medical Center, founder of Great Lakes Plastic Surgery Center and has appeared on the national television show The Doctors. In 2014, Dr. Smith embraced a new technology known as SPY to his practice. SPY’s specialized camera grants him a real-time assessment of blood flow to different tissues of the body. This permits performing breast reconstruction immediately after a mastectomy, allowing women to feel like themselves in just one surgery, with more predictable outcomes. “The number-one priority is to treat the cancer,” says Dr. Smith. “When a mastectomy is done, breast tissue is removed, and much of the skin is left behind. In the past, it was very subjective to determine if that skin would heal well. “Now with the SPY we can determine the health of the skin that’s left behind and at that time determine if we can proceed with the reconstruction, or if we need to modify the plan,” he explains. Before SPY technology there was a 16 percent chance patients would encounter wound-healing complications, leading to a significant rate of reoperations and additional costs to patients. Now the complication rate is down to only 1 to 2 percent. “We’ve been able to give women much more hope that they’re going to get back to that body image they had prior to their diagnosis,” says Dr. Smith.